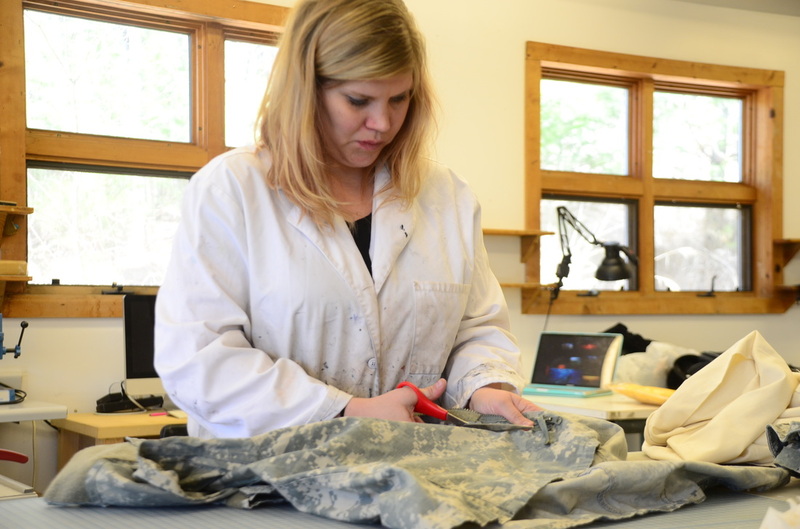 Create your own handmade paper from military uniforms and learn about the processes used in the artwork on exhibit with Downrange: Voices from the Homefront. Artist Trish Brownlee will host a public workshop with the spouses who were interviewed for the creation of Downrange. The workshop and public demonstration will take place from 10am-7pm. he community and patrons of the theater are invited for conversation, to view the papermaking process, and to try their hand at making handmade paper. Workshop participants need to arrive by noon if they wish to use their own uniforms/clothing. Anyone else can arrive between noon - 7pm to test out papermaking using the provided materials. This workshop is part of the the Breaking Rag Veteran, Family and Community Art Project, and is hosted by The Cape Fear Regional Theater in conjunction with Downrange: Voices from the Homefront. Stay and see the amazing play at 7:30pm! Video: Interview with Gabriela Mayorga of Sombra Media of "About Face" and the Breaking Rag Project during the installation at Cape Fear Regional Theatre with the world premier of the play, "Downrange: Voices from the Homefront." Video: "Altered" is a process video about Shadow Boxes, featuring spoken word by one of the subjects. Downrange: Voices from the Homefront at Cape Fear Regional Theatre from Cape Fear Regional Theatre on Vimeo. I worked with Cape Fear Regional Theater on Downrange: Voices from the Homefront as artist and consultant. My artwork will be displayed in an installation to accompany the play, and elements of the work will be seen in the influence of the set itself. 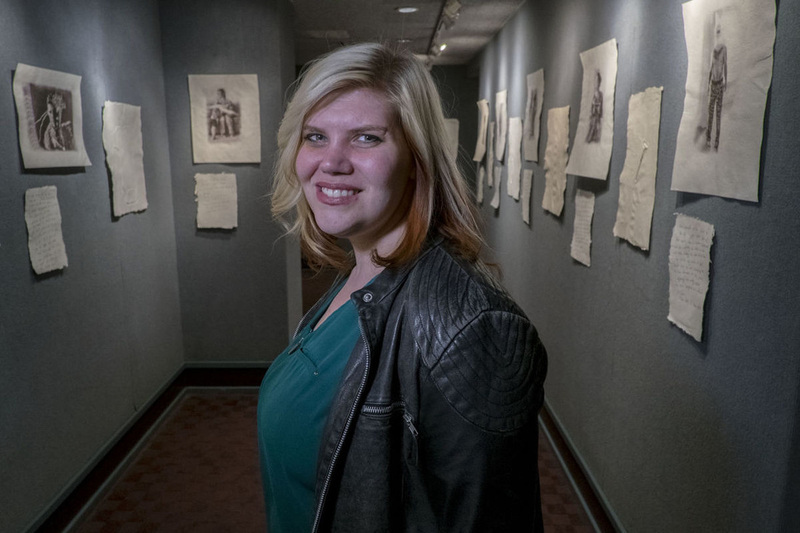 The art installation, titled “About Face,” focuses on military life from the perspective of “home.” The subject of the artwork includes portraits of veterans and their families, and military and domestic objects. The art medium is handmade rag paper created from a combination of military uniforms worn by the veterans in the photographs, and baby clothes belonging to the artist. It is created through traditional papermaking processes. All the veterans photographed are living or have lived in the Fort Bragg community.